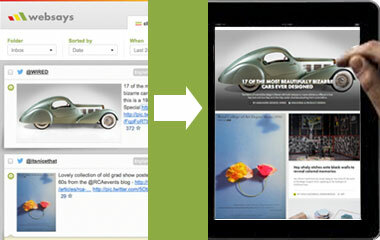 The Websays Publisher converts social conversation in content. Why create content that is not of any interest? Why invest in the creation of content if every day public content is generating virality? With the Websays Publisher you can simply enable to monitor a sector on a certain topic or your brand, quickly detect indications or items of greater dissemination or impact and publish them as content on your website, portal, minisite, app or screens. Convert the social conversation in content for your communication channels, internal or external. 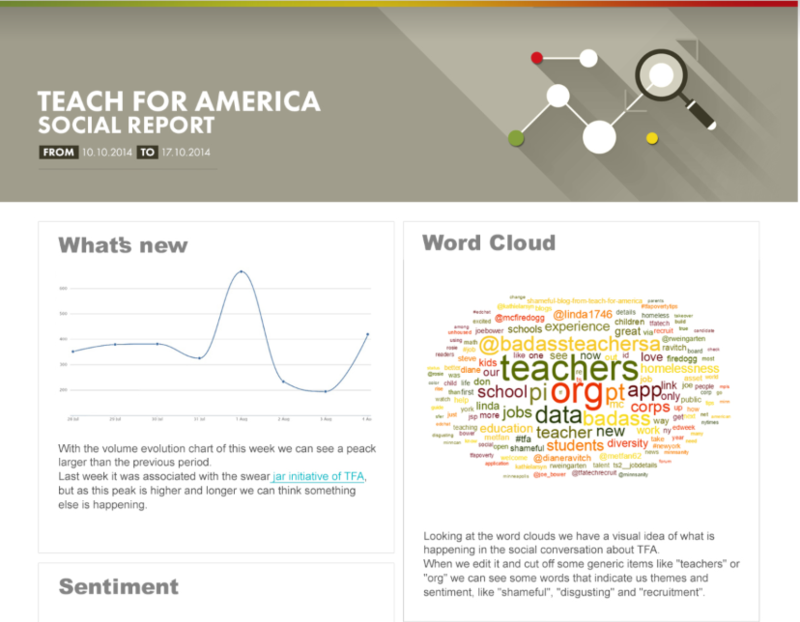 Generate amazing reports available to your clients or managers online. View in any browser, tablet or smartphone. Use Websays Publisher technology & generate in a few clicks. White label with your or clients logo & branding. Integrated in WordPress with your own CMS and user management. Send the report by email in an automated process.